I-Team: Is Federal Housing Money Going to the Dogs in New Jersey? A New Jersey housing authority that receives millions of federal tax dollars is being called on to investigate allegations of a ‘no-show’ job for a politically connected security director who also runs an animal control business in six towns. 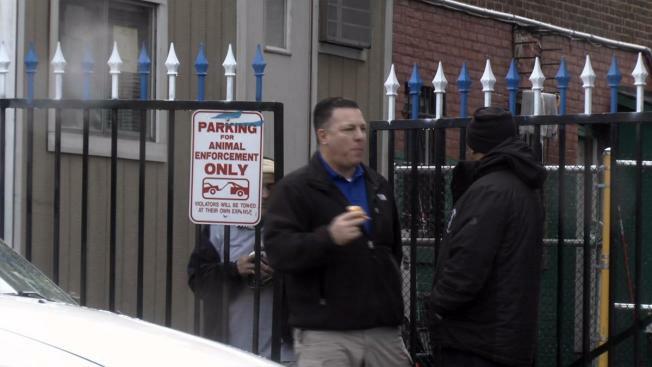 North Bergen Housing Authority Security Director Geoffrey Santini rarely shows up for his full-time job, according to several sources familiar with public housing in Hudson County who complained to the I-Team. Those sources, who spoke on the condition of anonymity out of fear of retaliation, also alleged he uses a housing authority SUV for his dog-catching duties and personal chores, not to help run security at the authority, also known as the NBHA. Records show Santini is paid $81,386 a year to run security at the NBHA. The I-Team requested the animal control contracts between Santini and six towns. His animal control business appears to be based in nearby West New York and collects about $350,000 in tax dollars from active contracts. A second source alleged the security job at NBHA amounts to a no-show job. The I-Team staked out Santini over five days in an attempt to clock the hours he spent working at the public housing offices. He was seen on site for three hours over those five different workdays at the authority, which has business hours of 9 a.m. to 4 p.m.
Several tenants at a Chelsea apartment building whose rent-regulated leases were canceled after a fire on Christmas testified before New York City Council on Monday. Melissa Russo reports. But the cameras did repeatedly spot him for hours at the West New York animal shelter. Santini denied repeated requests to answer questions. NBHA Housing Director Gerald Sanzari also denied our requests for an interview. But after the I-Team waited for him one afternoon in the NBHA parking lot, Sanzari defended Santini’s job performance. “He works 35, 40, 45, depends on – I mean he comes in on weekends, too. Ok?” Sanzari said. “There is no point in paying this man in taxpayers’ money if he’s only going to abuse the privileges that he gets,” one source said. One of those privileges is a Chevy Tahoe driven by Santini, but paid for by the housing authority. NBHA spokesman Phil Swibinski said Santini is given the SUV because as security director he needs to be on call 24 hours a day, 7 days a week. Swibinski said Santini has employees who work at the animal control business freeing him up to do both jobs as needed. Swibinksi and his firm Vision Media are paid $3,000 a month in tax dollars by the NBHA to serve as public relations representatives for the agency (see the full statement here). Insiders claim Santini uses the taxpayer funded vehicle mostly for personal use and his animal control business, not security. The SUV was repeatedly seen parked – and double parked – outside the animal control business on four of the five days NBC was tracking Santini’s movements. Santini has been seen occasionally driving North Bergen Mayor Nicholas Sacco around town in the SUV. Sacco admits occasionally taking rides from Santini but said it was on Santini and the housing authority to determine appropriate guidelines for use of the vehicle. 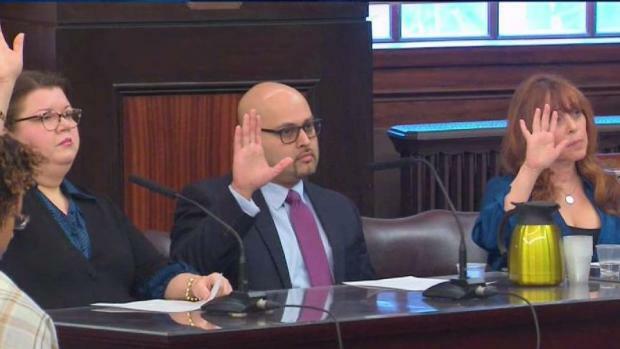 The Mayor, who sits on the North Bergen Board of Commissioners and appoints the housing authority commissioners, has known Santini for years and said “Scrutiny never hurts." When asked for time sheets or records to show Santini’s work days including for the days the I-Team was trying to watch Santini’s comings and goings, Swibinski said no attendance records exist because Santini is a salaried employee. In addition to his job as director of security and his animal control business, Santini is also a constable in Hudson County and an administrative aide to County Freeholder Anthony Vanieri. Vanieri is also deputy director of the town’s Department of Public Affairs. After the I-Team initially published and broadcast its reports, Swibinski said the authority hired an outside law firm to investigate. Former federal prosecutor Robert Ray said the allegations suggest taxpayer money is being abused. “Misuse of government property or taxpayer money should potentially attract the attention of investigators – possibly the Inspector General for FHA or for HUD – or federal or state prosecutors in New Jersey,” he said.